Marina, fka Marina and the Diamonds, has surprise released part of her new album. ‘Love’ is an eight song collection that forms the first half of her ‘Love + Fear’ double album, the full set of which will arrive on April 26 through Atlantic Records. The pop singer will support her new LP on tour in the UK this spring, followed by September and October dates around North America. The new tracks unveiled include the previously shared Orange Trees and Superstar, as well as Baby featuring Clean Bandit and Luis Fonsi, the bouyant synth pop of Enjoy Your Life and the slow jam To Be Human. 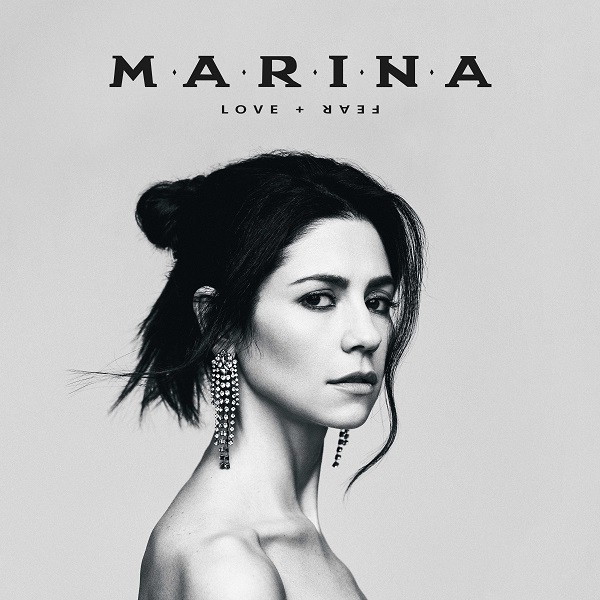 Click here to compare & buy MARINA Tickets at Stereoboard.com. Marina has shared a video for To Be Human. Marina, formerly Marina and the Diamonds, has released another track ahead of the launch of her fourth studio album. Marina, formerly Marina and the Diamonds, has shared a second track from her upcoming fourth studio album.